Trainer David Hayes says Vega Magic is spot-on for his defence of the Group One Memsie Stakes. Champion trainer David Hayes is confident Vega Magic is on target to defend the Group One Memsie Stakes at Caulfield ahead of his shot to go one better in the $13 million Everest. Vega Magic returned to winning ways with a dominant performance in the Group Three Bletchingly Stakes (1200m) last month at Caulfield. The three-length victory over subsequent Aurie’s Star Handicap winner Voodoo Lad was enough for Vega Magic to show off his Everest credentials and clinch a slot for the second running of the world’s richest race on turf in October at Randwick. Vega Magic, second in the inaugural Everest last spring, will be out to make it back-to-back Memsie Stakes wins at Caulfield on Saturday after claiming the 1400m weight-for-age race by 1-3/4-lengths last year. 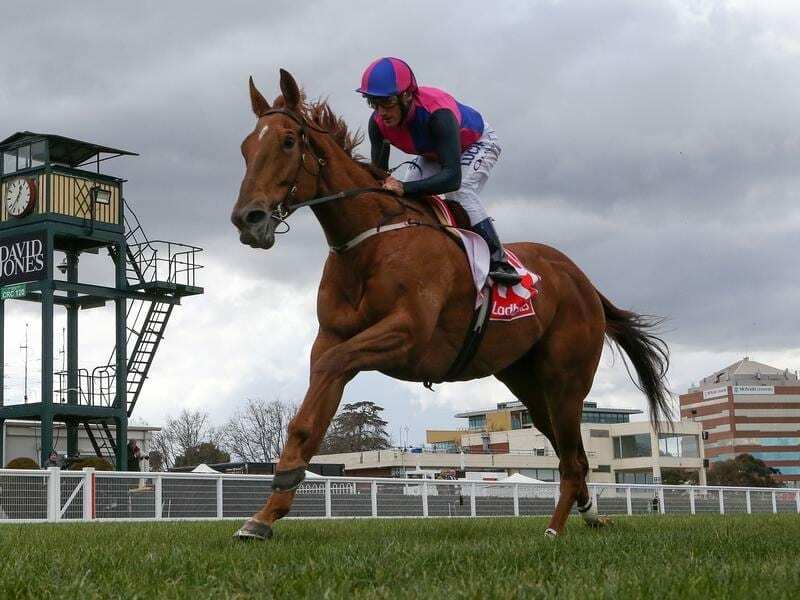 Vega Magic had a solo race day gallop under jockey Damien Oliver last Saturday week at Caulfield and Hayes, who trains in partnership with his son Ben and nephew Tom Dabernig, can’t fault the gelding. “He’s going great,” Hayes said. “He had a cruisy gallop on Thursday and he’ll have another gallop on Monday. “I think he’s very similar to last year, if not better. Melbourne’s first Group One race of the season is set to attract a star-studded line-up. Trainer Darren Weir’s representation is likely to include Kings Will Dream, Black Heart Bart, Humidor and Danon Liberty while Hawkes Racing’s P B Lawrence Stakes winner Showtime is also expected to run. Sydneysiders Kementari and Happy Clapper are among the others who will be entered. Along with Vega Magic in the Memsie, the Lindsay Park stable is set to have chances in a host of stakes races on Saturday. In the Group Three McNeil Stakes (1200m) the stable is planning to run Tony Nicconi and new stable addition Aylmerton. Catchy and Ellicazoom are scheduled to resume in the Group Three Cockram Stakes (1200m) while Fuhryk returns in the Group Three The Heath (1100m).